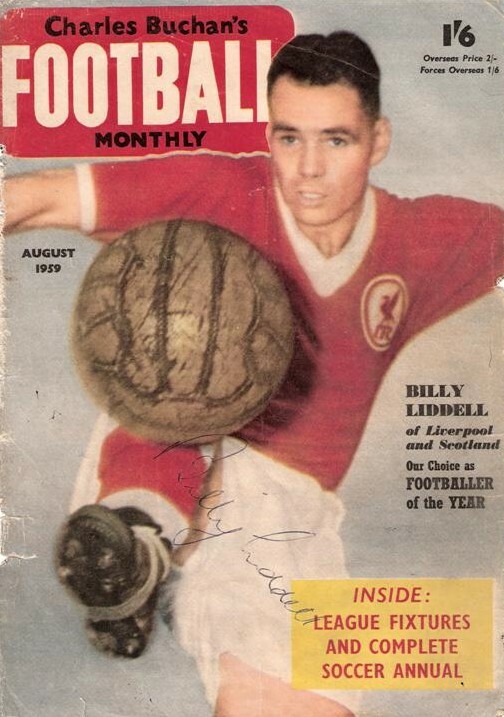 The wonder left wingers of Liverpool - LFChistory - Stats galore for Liverpool FC! Top class football throws up statistical oddities in all sorts of different ways. Teams who haven’t won at a certain ground for over half a century or players who always score against a particular team. These sort of statistics are usually just long running coincidences that become perpetuated by press coverage and, possibly, a little psychological input by various coaches and other back room staff. Tottenham Hotspur at Anfield was one of the lengthier periods of ongoing lack of success, their victory in 1912 being their last one until March 1985 when, from memory, Garth Crooks scored the only goal of the game. The sequence was well and truly shattered with another Spurs victory in October 1986, a Premiership win in August 1993, Jurgen Klinsmann’s 2 goals knocking us out of the Cup in 1995 and a League Cup humiliation during that dreadful week in 1998 that saw us lose three consecutive home games to bring about the end of Roy Evans’ career at Anfield. As for players who always score against a particular team I will just mention Ian Rush and Everton. Statistical trends in football are relatively easy to discover but continuity of playing ability is a far more subjective theme. By the very nature of the beast all successful teams have good players and some of the teams that have won England’s top league championship have done it with just good players. I would say that the Portsmouth team that won the old First Division in both 1949 and 1950 did so with just good players, although Jimmy Dickenson might have been offended to be described as merely good. Similarly Chelsea in 1955. Yes, they did win it when they were just a (much admired) football club and they only really had Roy Bentley as a player who was even possibly better than ‘good’. Burnley’s success in 1960 was achieved with a squad of players many of whom might not have even played in the first team at other clubs but Harry Potts welded them into a formidable unit. They had the two Jimmies, Adamson and McIlroy, who were classy Irish midfielders but by and large they got to the top of the tree by sheer teamwork. Ipswich in 1962 were another example of a team achieving more than the sum of its parts. When you realise that the manager was Alf Ramsey nothing more needs to be added. In more or less every other season the winners of England’s top league have had a mixture of good, reliable players, outstanding players, international players and, every now and then, truly great players. At Anfield we have been privileged to watch more than our fair share of the very best that football can provide. Ron Yeats, Ian St John, Roger Hunt, Ian Callaghan, Tommy Smith, Kevin Keegan, Ray Clemence, - the list goes on. We have replaced the seemingly irreplaceable time after time right up to the present where Jamie Carragher and Steven Gerrard continue the chain of local boys made good and the likes of Xabi Alonso, Sami Hyypia and John-Arne Riise prove that you don’t have to be a scouser to be a red legend. The thing that has prompted me to take up my quill is the recent piece on this site about the wonderfully gifted left winger of the sixties, Peter Thompson. Thompson was pretty much the final piece in Shankly’s jigsaw of his first great team. But, as time passed, we realised that he was actually more than that. He was a part of another of football’s sequences. Not a statistical one but one of sheer ability. A footballing dynasty, no less. We have had wonderful players in every position over the years. Our rolecall of goalkeepers was such that the telegraphic address of the club used to be ‘Goalkeeper’ in the days when urgent messages were relayed by telegram. We have had defenders, midfielders and strikers who have played at the highest level in the UK, in Europe, in Africa and in South America but in one position we have had a quartet of players who would compete for inclusion in many people’s all-time best XI. The position that I am talking about appears not to exist in today’s game but the fact is that most successful teams have at least one good winger, either on the right or the left. Today’s jargon has them as wide midfielders but for me they will forever be wingers. In the current Premiership Manchester United play with two genuine wingers in Giggs and Ronaldo and it is no surprise to me that they look like winning the ultimate domestic prize again largely as a result of the combination of two wingers and a truly magnificent striker in Rooney. Outside left has been a key position in most successful teams and Liverpool have been fortunate to have had four exponents in that position in the post war years who would invite comparison with any other left wingers, certainly in the English League. Billy Liddell, Peter Thompson, Steve Heighway and John Barnes represent all that is good in wing play and we have been privileged to have them represent our club a total of 1831 times.